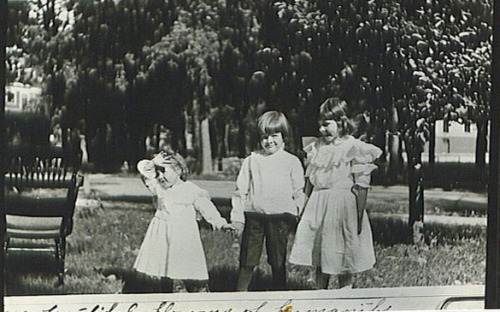 Ernest Hemingway, age 6, with his sisters Ursula and Marcelline on their first day of grammar school, 1905. 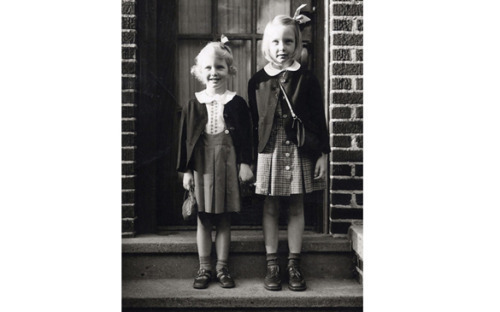 Lois Lowry, age five, and her elder sister, on the first day of kindergarten and second grade, respectively, 1942. 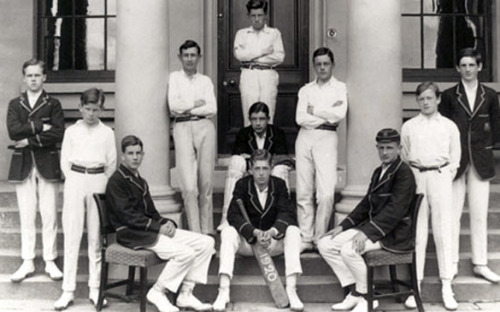 Samuel Beckett (second from the left) with his school cricket team in 1920. Image courtesy of Portora Royal School.